Many small rodents thrive in disturbed habitat. 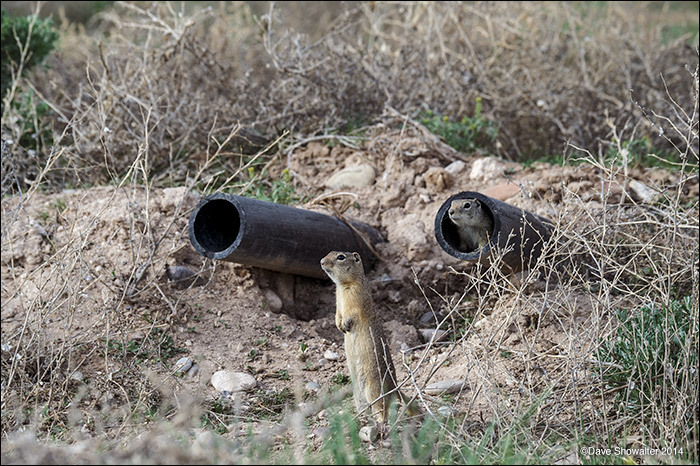 These Wyoming ground squirrels have made a home in an exposed pipe near a drilling rig. One hypothesis is that increased population density of meso-predators (medium-sized) reduces the breeding success of sagebrush obligate songbirds due to predation. Another question is: what happens to the animals that normally prey on the small rodents? Photo © copyright by Dave Showalter.